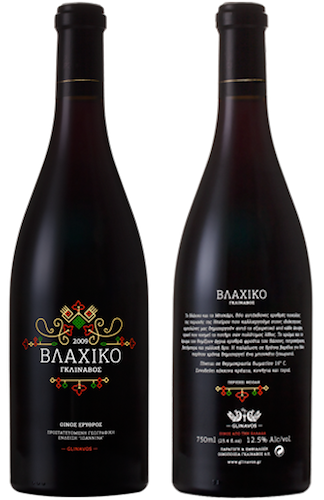 The blend with the two indigenous varieties of Ioannina, Vlahiko and Bekari, creates an enviable dry red wine with a bursting aromatic character. The earthy elegance that is given from the aromas of “freshly cut mushroom” as well as the spicy elements in its composition create a completely complex and fascinating bouquet of aromas. The colour and flavour bring to mind wild red and black berries, such as blueberries and wild cherries. It ages for 2 years in French oak barrels and it is enriched with aromas and body, thus becoming even more exceptional. Nose: The aromas of red and black fruits such as blackberry, black cherry and plum are predominant while freshly cut mushroom and spicy elements complete the complex aromatic profile. Mouth: The robust tannins and its fresh acidity show that it is a wine with great aging potential. The abundant black fruit, the spicy spices vigorously create an explosive bouquet in the mouth.